"Equipped with greater insights and actionable intelligence into vital value drivers, startups can venture into scaling in a more efficient manner through the use of business intelligence (BI)." For every aspiring B2B business out there, thriving and growing largely depend on an effective sales structure, which, in turn, is based on proper sales metrics. Knowing which measurable insights are of key value for startups is something every sales manager must know. It’s a simple equation: better decisions are proportionately related to the amount of measurable metrics that form a data-driven approach. This post will show you which B2B sales metrics you absolutely must measure, as well as how to identify them. Naturally, not all sales metrics are important to track, so a bit of filtration is in order. Depending on the configuration of your business and your goals, some metrics will align with your objectives more closely than others, especially for a SaaS startup. For instance, win rate indicates high lead quality and an effective sales department but isn’t really all that important during the startup’s early days. On the other hand, since revenue comes over extended periods, customer's’ lifetime value is of greater importance. You want to define the metrics that matter the most to you at any given period and track them along your entire sales cycle. Due to its overwhelming existence in today’s B2B environment, Big Data provides a clear understanding about collecting relevant data and implementing necessary metrics for measuring. Businesses are now able to form data-driven strategies that answer the most important questions they have. Equipped with greater insights and actionable intelligence into vital value drivers, startups can venture into scaling in a more efficient manner through the use of business intelligence (BI). Market research, lead generation, and customer retention stand out as areas where BI thrives the most when it comes to startup sales. As for the specific metrics, here’s a look (in no particular order) at what startups shouldn’t avoid measuring at any cost. 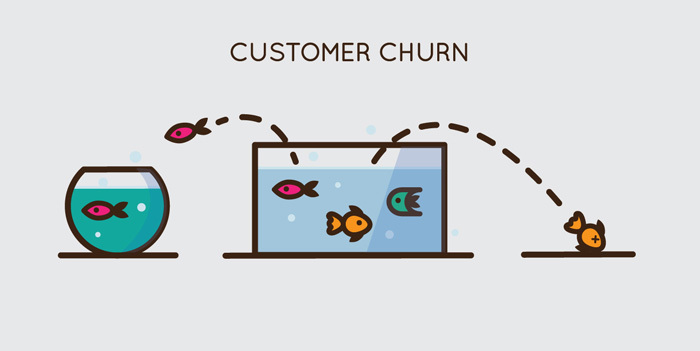 Churn (customer retention) is one of the most significant SaaS sales metrics because it acts as an indicator of growth. Essentially, churn rate is the percentage of customers that end the use of your product or service during a certain period of time (for example, canceled a subscription to your data storage solution). Some churn is a normal part of everyday business so there’s no need to panic. Keeping it on the low side is imperative, otherwise there’ll be plenty of room for panic. It’s also highly preventable: 85% of consumers list poor service as the biggest churn reason. Churn is important for SaaS businesses in particular because even if a company is experiencing the desired growth rate, high churn will severely undercut continued growth, as well as total revenue potential. Simply put, LTV is the amount of revenue one customer generates on average over their entire buying timeframe. Together with CAC and churn, it’s a must-measure for startups because it offers insight into how much funds are needed to invest into customer acquisition, how profitable the customer will be, as well as different objectives toward a growing customer base and how to retain it. Despite its importance, only 49% of sales executives track LTV, and considering that SaaS companies often have multiple packages, the percentage works out to be even lower in such instances. MMR is the total recurring revenue generated from your customer base. The metric is primarily for companies with monthly or some longer term contracts (60 days, 90 days, etc. ), as opposed to annual recurring revenue (ARR) which is for companies with primarily annual contracts. Increasing MRR poses as a core goal for every SaaS company as it provides insight into the company’s standing and growth. There are, however, some things to consider: the metric has certain limitations as it doesn’t account churn nor CLV, which produces a slightly off picture overall. Annual contract value measures the average value of the contract on an annual basis, such as the value of your account subscription agreements. On its own, ACV is only part of the equation that measures sales efficiency and offers less valuable insights as opposed to comparison to other metrics. For instance, higher ACV isn’t necessarily always better as much as it needs to go in line with sales strategy and product/service development. Continuous growth might get you bigger accounts and thus a higher ACV, but your CAC will also go up as acquire bigger targets. Hence, ACV should be used as a complementary metric which reveals more information in relation to costs, especially CAC. With Net MRR Churn, you get a whole churn picture, including a percentage of overall revenues that was lost with the basic churn. That is, net MRR shows revenue churn minus expansion and as such, sets a money value to each churned customer. The focus is on the sustainability of the growth level with the current churn rate. Ideally, the aim should be zero or negative churn rate to optimize or balance the impact of new MRR. Running a startup without measurable sales metrics is very much like sitting behind a steering wheel and driving blindfolded. Sure, you just might get where you’re going, but you’ll far likely crash along the road. Sales is inherently metric-driven part of the business and there’s no way around it. With the right data in your hands, you can identify sales metrics that can be the key to sustaining and accelerating your startup's goals and take it to the next level. The alternative is much too dire.